Kettlebell Kitchen and Personal Trainer Food are designed to take the stress out of meal planning and this Kettlebell Kitchen VS Personal Trainer Food comparison is designed to make it much easier to choose between them. Get a comprehensive overview of these companies’ crucial features and scroll down to discover the definite winner of the comparison. 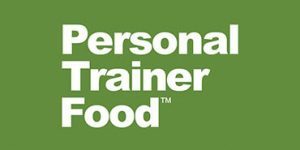 Personal Trainer Food is an incredibly affordable weight loss solution that allows you to save time and cash, lose weight, and create your own custom meals by mixing and matching delicious entrées and sides from its menu. Personal Trainer Food offers its customers 3 meal plans, including Rev, Core, and You Choose. Personal Trainer Food offers more than 100 options on the menu. Personal Trainer Food offers healthy diet breakfasts, entrées, veggie sides, and snacks. All the items on the menu are sure to look familiar because the company likes to stick to well-known favorites. The menu includes diabetic-friendly, gluten-free, and Paleo-friendly dishes. Personal Trainer Food admits that its meals are not organic or non-GMO. However, it does provide meals that are not overly processed and makes sure that they are rich in nutrients coming from healthy produce. The meals are free from processed sugars and starches. With Personal Trainer Food, you get relatively large portions, considering that the service offers diet meals. Meat and egg items come in 3-5 oz. servings and veggie items come in 4 oz. servings. The nutritional value of a complete meal depends on how you combine the entrées and sides, but any entrée combined with one or two veggie items makes for a balanced meal. With Personal Trainer Food, it may not be possible to change your order. For more information, you should contact the company. If you want to cancel your subscription plan, you must contact the company during business hours and talk to a representative at least 10 days before your next delivery is due. Personal Trainer Food has a 100% satisfaction guarantee. However, it only applies to 28-day meal plans. The company states that it will issue a maximum of 1 refund per customer and that only the first order placed by the customer is eligible for the money-back guarantee. To get a refund, you must notify the company via email about your complaint within 5 days of receiving your delivery. Additionally, unused food must be shipped back to the company in its original cooler box within 15 days of the day you placed your order. Finally, a weight-loss program that does not make me starve. Not all meals are my all-time favorites, but they keep me full and I can already see AND feel the difference. I don't like that the meals are frozen, but it seems to work, I've already lost 5 pounds and I'm only halfway through my 28-day plan. I've been struggling with weight for years, with 100 pounds to lose. I started with Personal Trainer Food a month ago and I am down 15 pounds, which never happened before, no matter how much I tried. I hope I'll keep slimming down at this rate, I can honestly say this changed my life! Personal Trainer Food can help you drop pounds and keep them off by following carefully devised meal plans that fit your needs. A healthy diet is the key to losing weight and Personal Trainer Food provides everything it takes to reach your goal weight, including professional weight loss coaching. Read more about it in our Personal Trainer Food review.